Born and raised in Montana, Michelle is a farm girl who loves the outdoors. She earned her undergraduate degree in Mathematics with a teaching option and Physical Education minor from Montana State University. 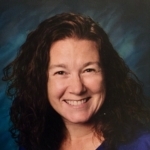 She came to Colorado in 1989 and worked in the Thompson and Windsor school districts for 27 years as a teacher, Technology Professional Development TOSA and Elementary Principal. Currently she is at CSU as an instructor for teacher preparation classes, involved with educational research and taking classes that feed her passion for learning. She is extremely excited to be launching the inaugural year of the Early Elementary STEM Institute as she is passionate about providing students with authentic and engaging opportunities for inquiry and discovery. Carey grew up in the great state of Wisconsin. She graduated from the University of Wisconsin Whitewater with a degree in Education and Sports Medicine. She moved out to Colorado upon graduating and loves and has embraced all that Colorado has to offer. She began working at Poudre High School in 1999 both as a teacher and Certified Athletic Trainer. 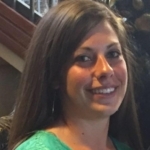 In the summer of 2015 she finished her Masters of Education and Human Resource Studies at CSU and started as part time Assistant Principal in the fall of 2015. She is passionate about providing opportunities for all students and helping them realize their potential! She is excited about the upcoming STEM institute and all of the incredible opportunities that are awaiting our students. I have been involved in education for 22 years. I have been a teacher, coach, assistant principal, district level administrator, and currently, I am the principal at Webber Middle School. My wife and son are a part of Poudre School District. My son is a current 8th grader at Blevins Middle School, and my wife is a Speech and Language professional at Lincoln and Lesher. This will be my first year with the STEM Institute. I look forward to watching our teachers work with engaged and excited students each day. John graduated from the University of South Dakota and received his masters in administration from the University of Wyoming. He was awarded the Secondary School Assistant Principal of the year award in Wyoming. As the assistant principal at Preston Middle High he inspires students on a daily basis to achieve more than they think possible. One of his great loves is flying. He is a pilot and an officer in the Civil Air Patrol. He has taught Flight Simulator for over 20 years and has motivated countless students to continue on with aviation in their adult lives. DJ grew up in National Parks and loves spending time in the outdoors with her family. 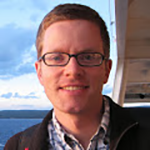 DJ began working in Poudre School District in 2011 coordinating STEM and Gifted Education. She enjoys seeing the excitement and joy the students bring every day. My name is Gabriella and I teach Kindergarten at Shepardson. I moved to Fort Collins a few years ago and love living in Colorado! When I am not teaching, I can be found outdoors mountain biking, camping, hiking, backcountry skiing, or playing eagle eye in the woods. I am excited to be teaching a class about animals this summer! Hi! My name is Kim and I’ve taught elementary students for 21 years, after having a career as a Water Educator at the San Antonio Water System. My favorite subjects to teach are math and science, and I love to facilitate the exploration and discovery that happens when a child learns something new about our world. This is my second year teaching at STEM-X and I’m excited to return. This year we’ll discover ways to play with math through games, and how to build (and destroy!) bridges and walls. When I’m not having fun in the classroom, I enjoy reading, cycling, skiing, hiking, and spending time with my family. Adrienne studied Microbiology and Spanish at CSU and graduated with her B.S. in 2005. 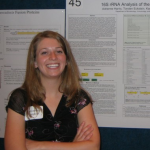 She completed extensive research in bacterial genetics and comparative lipidomics in a Microbiology, Immunology and Pathology lab at CSU before attending graduate school at CSU 2006. She received her M.A. in Spanish and M.A. 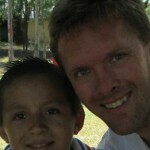 in Teaching English as a Second/Foreign Language in 2009. She taught high school Spanish in Minneapolis for three years before returning to Fort Collins in 2012. She currently teaches Spanish and Spanish for heritage speakers at Poudre High School. Her passion is empowering traditionally disenfranchised students to find what they are passionate about and to have the courage to follow those dreams. Miss Brose teaches music and reading at Lopez Elementary during the school year. With a veterinarian father and a teacher mother, she’s been around agriculture and education her whole life. During her time at the University of Wyoming, she took extra classes in outdoor ed and forestry management and worked for the Wyoming Conservation Corps. She loves teaching all subjects and is excited to be teaching at STEM-X this year! Kristina Brown is from Houston, Texas, and has lived in Fort Collins for over 8 years. She started her career at NASA’s Johnson Space Center working for United Space Alliance on a team that developed the Portable Computer System for the International Space Station. After almost 10 years at the JSC space center, she left to pursue her dreams of being an entrepreneur. The bulk of her business was at the forefront of the social media revolution as well as administering and building websites for small businesses. She began to look for supplemental work during the recession of 2008, when she was hired at Front Range Community College to teach computer classes. She fell in love with teaching and went back to school to obtain her teaching credential. She currently works at Rocky Mountain High School teaching computer science, game design, web design, and business classes. In her free time, Kristina likes to spend time with her daughter and husband, mountain bike, run, garden, do yoga, and read. Devon is a native Coloradoan; born in Fort Collins and raised in Durango, Devon now lives in Pueblo. She earned a Bachelor’s degree in Chemistry from Colorado State University and a Master’s degree in Teaching from The Colorado College. She has been teaching science at Pueblo County High School since 1990. Devon loves getting students excited about science and helping them understand how science if a part of their daily lives. Sarah Coleman grew up in Arizona and Texas before moving to Fort Collins to attend Colorado State University. 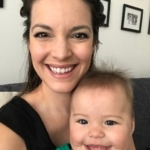 While at CSU, Sarah studied Biology Education and Psychology – combining her passion for science and learning with an interest in learning more about “brain-based” ways to become a better teacher. She student taught biology and agriculture science and coached the freshman volleyball team at Rocky Mountain High School in the fall. 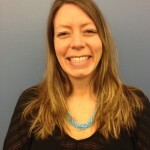 Sarah is currently a substitute teacher in PSD and a long-term sub for middle school science at Poudre Global Academy. 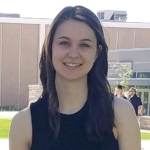 Sarah worked at STEM Institute last summer as a teaching assistant and is excited to return as a lead teacher to engage students in the smaller and seedier sides of life! 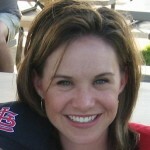 Stacey Cornmesser grew up in Chicago and graduated with a Chemical Engineering and Biochemistry degree from the University of Illinois at Urbana. She worked as a process engineer for many years before staying at home with her three children. First, she worked for FMC in West Virginia making various Phosphorus specialty chemicals. Then, she moved to Texas to work for Haldor Topsoe, a Danish catalyst manufacturing company. She often travelled to Denmark, working with their Research and Development Groups, as well as coordinating the startup of their processing plant. She has lived in Fort Collins since 2012 and loves all Colorado has to offer, including skiing, hiking, and running. Currently, she substitutes with the Poudre School District. Stacey is looking forward to teaching with the STEM Institute this summer, hoping to inspire young women to pursue careers in the chemical sciences. I moved to Colorado last summer from Indiana. I grew up on a small hobby farm, and worked as a vet technician all through high school and for a few years after college. While in college I majored in Animal Sciences, so it is safe to say that animals are my passion! I am currently the Agriculture teacher and FFA Advisor at Poudre High School and can’t wait to share my passion of agriculture with you! 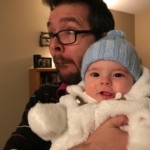 Isaac got his Ph.D. in EE from CU in 1998 and has worked on dozens of product development programs, run small companies, and worked as a hardware, firmware, and software design engineer and technical management consultant for gigantic companies. He currently is heading up a startup, Toys2Life, making dolls and action figures talk to one another on a kid’s bedroom floor using BLE radios and an AI dialog engine. He frequently does expert witness work on patent cases. 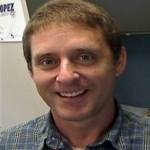 Previously he ran the engineering department at Sphero and Syncroness where he worked on products in the medical device, aerospace, instrumentation, robotics, commercial and consumer areas. He has been a mentor in the Boulder County Jail GED program and at the KIP charter school in Denver. Shane Edler graduated from University of Northern Iowa with a degree in Secondary Technology Education and is currently pursuing a Master’s Degree at CSU. Shane has taught Technology Education at Preston Middle School since 2001, including classes such as Robotics, Aviation, 3D Design (Solidworks), and Media Technology with a live broadcast every morning. He has been teaching at the STEM Institute since its inception, including Video Production, Robotics, Advanced Robotics and 3D Design. He enjoys demonstrating cutting edge technology, where the students are able to build and program their own robot. Shane Edler also enjoys coaching Football in the fall semester and Track in the spring semester. In his spare time he enjoys hiking and biking in the outdoors with his wife and two young daughters here in Fort Collins. Cris Fierro is a veteran of the fire service where he served as a Lieutenant in a suburban fire department just outside of Austin, TX for almost 10 years. In the fire service, Cris instructed at a high school based fire academy where students took a two-year elective to graduate with their firefighting certificate. Cris also taught hazardous materials classes to other firefighters as they worked to get their hazardous materials technician certificates. 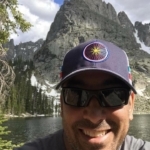 After moving to Colorado with his family, Cris decided to begin another public service career as a 7th grade science teacher at a school in Greeley, CO. Cris lives in Fort Collins, CO with his wife and two awesome children, and his hobbies include hiking, biking, fly-fishing, backpacking, and nature journaling. Benjamin grew up in Boulder, Colorado and graduated from the University of Northern Colorado with a degree in Art Education. He now lives just outside of Fort Collins with his wife, Diana and son, Asher. He is currently working for Poudre School District as a substitute visual arts teacher and continues to work as a traditional and digital artist. His creative focus typically centers on any and all things illustrated, but his mediums of interest include pen and ink, acrylic paint, relief and intaglio printmaking and digital applications. In his free time he enjoys a good cup of coffee, graphic novels and time with his family. He is looking forward to this summer’s STEM Institute and the opportunity to help young artists develop their digital art skills. I look forward to this STEM week every year. One of my favorite ways to learn is through picking a topic I am interested in and just being able to jump in without worrying about grades. Personally I can remember 3 great summer time learning opportunities of my own. They included a week of water quality on the Green River, a study of renewable energy at the School of Mines, and a 2-week sailing course. If I get to see you in class, please bring your energy and enthusiasm for learning something you are interested in. Mary grew up in Missouri and spent her free time outdoors where she developed a deep appreciation for the natural world. After college she traveled and worked in most of the western states, and that is when she found her second passion—teaching and working with middle school students. Teaching provided the outlet to share her interests with others and middle school students provided the energy to learn about the world. Although now retired, she continues to inspire students at Preston Middle School coaching Science Olympiad, Science Bowl, organizing GSTEM (Girls in Science, Technology, Engineering, and Math) activities and any other “science things” that present an opportunity for students. She has taught Summer STEM institute for many years and enjoys learning about the world with her students. 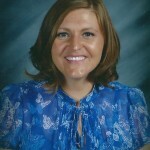 Shawna teaches K-8 music at High plains School in Loveland, which includes K-5 general music and 6-8 band and choir. 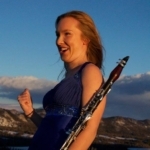 She graduated from Colorado State University with a Bachelor’s Degree in Music Education. Shawna shows enthusiasm in showing students how to make real world connections with their school experience. She looks forward to the STEM institute this summer and is excited to explore the connections made between music and STEM. Math is a part of so many things in our daily life and Ryan is dedicated to show his students how math applies to their everyday lives. He uses technology on a daily basis in his classroom and is an example to other teachers on how to use the advances in technology in all subjects. His dedications to his students help them strive to look deeper into math concepts. He is not only a math teacher at Preston; he is also the department chair. Sue has been a mathematics teacher at Preston Middle School since 1998. She holds a Bachelor’s degree and Master’s degree in Mathematics with emphasis in secondary education. 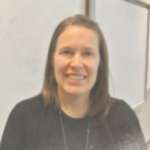 She is passionate about building math confidence in students and taking risks to continually grow as learners. She pushes herself daily to provide experiences for students that support and build on 21st century skills. She incorporates inquiry, critical thinking, technology, collaboration, and curiosity in her classroom and daily life. Her two STEM enthusiastic children continue to help her grow and explore many exciting STEM interests! Sue Mateer has 30 years of experience in law enforcement with more than 10 years as a school resource officer working in PSD middle schools. She has been involved with Fort Collins police youth police academy both as a director and instructor. 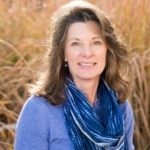 Sue’s teaching and training experience includes elementary and middle school classrooms, CSU students, school personnel, community groups, FCPS civilian police academy, statewide forums, and national conferences. She received her PhD in education from Colorado State University in 2010. 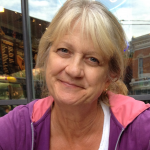 Sue is the parent of 2 great young adults; her interest in travel and volunteering has taken her around the world. 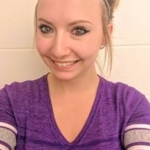 Samantha is a new resident of Fort Collins, Colorado after moving from Athens, Georgia in August of 2016. She is a graduate of The University of Georgia, where she received an undergraduate degree in Family and Consumer Sciences Education and her masters in Workforce Education. 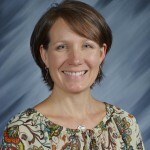 She currently teaches Nutrition and Wellness, Culinary, and Relationships classes at Loveland High School. Her passions include anything outdoors, teaching life skills, and inspiring students to live healthier lifestyles. She is very excited to join the Stem Institutes this summer and explore the connections between science, math, and the kitchen! Erin Panozzo has lived in the Fort Collins area for most of her life. 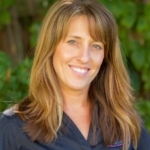 She attended Poudre Schools, and earned her Bachelors in Biology at CSU. She received her Masters in Interdisciplinary Ed at UNC. Her Hobbies are traveling, mountain biking, and riding horses. She has been a Science teacher at Preston for 18 years and has loved every minute of it! Aviation and Space Exploration are two of Joel’s enduring passions. He has spent 21 years in PSD teaching 6th, 7th, 8th and 9th grade science, technology education, and aerospace science classes. 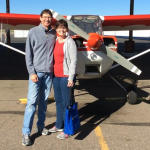 Joel has a professional pilot degree from Metropolitan State College of Denver, is a pilot with over 1400 flight hours, was a flight instructor, classroom teacher and simulator instructor at Aims Community College and is a United Airlines trained B727 flight engineer. He was the sponsor of an aerospace education program at Webber Junior High/Middle School and conducted 42 simulated space shuttle missions over 18 years. Joel enjoys working with STEM Institute students and is looking forward to his 4th year with The Institute! Kristen Roecker has an M. Ed. in Curriculum, Instruction, and Assessment, a B.A. in English Literature, and is a K-12 SPED Generalist. Kristen grew up in Denver, Colorado and just moved to the Fort Collins area. She loves the outdoors, and teaches using an Expeditionary learning model. 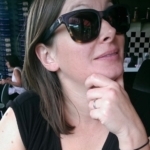 Kristen also has a passion for technology, creative innovation, and the process of inquiry. She is very excited to be teaching at the STEM Institute this summer. Tamara got her BA in music therapy from CSU and her MA in special education from UNC. 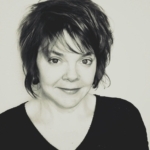 She started her teaching career at Rocky Mountain High School before relocating to Nashville, TN, where she taught grades 5/6 and opened a music teaching studio. In Nashville, she learned a lot about the music business and worked on her MM in music education. 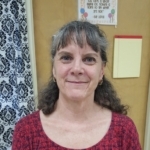 She is licensed to teach elementary, special and music education and is currently making plans to return to the classroom next year. Upon relocating to Fort Collins in 2011, Tamara has been active in PSD as a substitute teacher, mentor and volunteer. 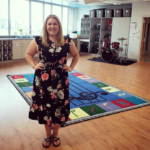 Last year, she opened THRIVE Music Studio, LLC, where she works as a music educator and music therapist with individuals of all ages and ability levels. Tamara believes that every person is beautifully impacted by music in some way and she is very excited to be teaching at the Institute this summer on MUSIC and STEM. Dusti Waite has been involved in theatre since she was three years old. From being involved in several theatre companies to continuing her passion throughout her schooling, performing arts have always been a huge part of her life. 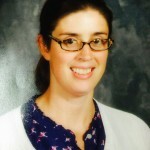 In 2014, Dusti received a full-time 7th grade position at Preston Middle School where she taught and still continues to teach English and Drama. She also puts on the Spring Play and organizes events such as Dancing with the Teachers and the talent show. 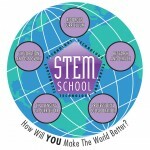 She is so excited to be a part of STEM Institutes and leading the Identity Crisis: Facial Illusion class. She aims to create a fun, engaging, creative environment where student feel safe to explore and take risks. 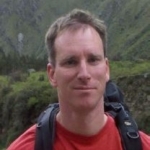 Michael Schaefer, is a Colorado native born and raised in Fort Collins, graduated from Poudre and earned both a BME and Master’s in Instruction from Colorado State University. 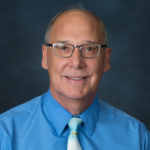 Over 37-years, three of his orchestras have appeared at the Colorado Music Educators Association conference in Colorado Springs and, in 2009 Michael received the American String Teachers Association Lifetime Achievement Award. 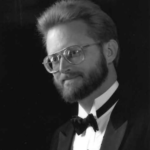 He was director/conductor of the Loveland Chamber Orchestra for 13 seasons and the Fort Collins Symphony Orchestra assistant conductor for 13 years. He has been on the staff of the Colorado ASTA Middle School Summer String Camp for 12 years. Before retiring, Michael performed with the FCSO for 35 consecutive seasons, 8 years as assistant concertmaster. In “retirement” he is a mentor, guest clinician and adjudicator in Colorado and Wyoming and is very excited to become part of the STEM summer program at Preston teaching the Balsa Wood Violin class. Although born in New Mexico, Claire has had a passion for the ocean from a young age. She has been lucky enough to study and work in the field of marine biology in Washington state, Baja California del Sur, and the Florida Keys. The pursuit of a M.Ed. degree brought her to the great state of Colorado where she currently teaches Biology and GeoSpace Science at Fort Collins High School. When she’s not teaching science, Claire can be found biking, hiking, and running all around Fort Collins. Joel Smith has been working in theatre for over twenty years. He has a BA in Psychology from the University of Redlands, CA, and a Masters of Theatre Studies from Southern Oregon University. He worked at the Magic Theater in San Francisco, the Cedu School in Southern California, and Rim of the World High School in Lake Arrowhead, CA, where he taught theatre and produced productions for 10 years. He has appeared in numerous productions, including What the Butler Saw, You Can’t Take it with You, Accomplice, and Richard III. He has directed many plays and musicals, including The Elephant Man, Man of La Mancha, A Christmas Carol, and more recently, Our Town, A Midsummer Night’s Dream, and The Fantasticks. He has designed sets and lighting for various productions, including The Crucible, Camelot, Annie, Twelfth Night, and Into the Woods. In his very limited off-time, Mr. Smith enjoys skiing, reading, and relaxing with his wife, Melanie, and his children, Jackson and Taryn. Helping students understand and ultimately appreciate the natural world in which we all live is my passion. I have degrees in Biology, Zoology and Education and a love of learning and learners that continues to grow. I have spent the last 10 years in the Midwest teaching high school science but I am very eager to return to the West were my roots are deep and I had previously taught middle school outdoor education. I have two small children, an old dog and a husband who is just as excited about science as I am. Melissa Vigil is originally from Fredericksburg, Virginia. She moved to Fort Collins for a PhD program in organic chemistry at Colorado State University. It was there that she realized that she wanted to share her passion for science with others. She switched gears and became a certified teacher. Melissa teaches chemistry and earth systems science at Fossil Ridge High School. She also started the Science Olympiad program at FRHS and proudly serves as the co-coach for their teams. Melissa has taught at the STEM Institute since 2012 and spends a significant portion of the school year scheming how to make her classes even better than they were the previous years. She is beyond excited to share both her passion for science and her obsession for Harry Potter with students. Mischief Managed! 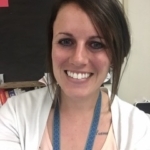 Sarah Weeks teaches technology specials to grades K-5 three days per week at Lopez Elementary, and serves as the Media Manager and Building Technology Coordinator the remaining two days. 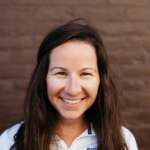 Prior to teaching in Poudre Schools, Sarah was a professional kids’ ski instructor at Winter Park, and ran summer camp programs in Rye, CO. When she first moved to Colorado in 2005, she taught 4th grade for two years in the Denver area. Before moving to Colorado, she lived in Bloomington, Indiana and attended Indiana University. She graduated with a B.S. in Computer Information Systems and Business Process Management. After a couple short stints with Chicago based tech companies, she went back to school to pursue her true passion of teaching kids. She earned a Master’s Degree in Elementary Education shortly before moving to Colorado. It feels amazing when you get to do what you love every day! She feels blessed to combine the best of her skills to lead students as empowered learners and creators of technology, not just consumers. Sarah Weeks was awarded ISTE’s “Making IT Happen” award at InnEdCO in 2015, and will speak at ISTE in Denver, June 2016. She is really excited to have more fun with kids using MinecraftEDU and Robotics programming at the STEM summer institutes.